The Lost Dance Project (TLDP) is an investigation and comment on the rise of a digital generation. It speaks to the effects of social media on interpersonal relationships and our ability to communicate, and the need to cultivate physical human interactions and connections despite both of these things. TLDP will see the CBD of Alice Springs/Mparntwe activated with offerings of live dance activity and visual street art, enticing the unassuming passersby and art sleuths alike to lose themselves in an adventure and be found alongside their fellow townsfolk at a secret location. Here they will witness the premiere season of a new dance work brought to you by local dance makers Madeleine Krenek and Frankie Snowdon (The Perception Experiment, Alice Can Dance) and a team of celebrated national collaborators. Sound design and arrangement: Darcy Davis, Alisdair Macindoe, James Andrews. This project is proudly supported by funding partners the Australia Council for the Arts, The Regional Arts Fund, The NT Department of Education, The NT Office of Youth Affairs, Sadadeen Primary School and Rooster Concept Construction, and through partnering organisations Red Hot Arts Central Australia and Watch This Space ARI. Frankie grew up in Alice Springs and is a VCA (Australia) alumnae (2008). Since graduating Frankie has collaborated and danced with Gideon Obarzanek’s Chunky Move, Brooke Stamp, Martin Del Amo, Adam Wheeler, Neil Armfield and Kate Champion for Opera Australia and Sara Black. Independently, Frankie has choreographed and performed in With the Lot (Lucy Guerin Inc.), Private Parking for Private Dances (Next Wave Festival/Nat Cursio Co.), Something Blew (2NDTOE), Celebration for Pieces for Small Spaces (Lucy Guerin Inc.), Scribble (Le Scratch), DanceFarm Game Show (Harvest Music Festival/Summersalt festival) Family (2NDTOE), The Lost Dance Project – Pilot (2NDTOE). As well as this she has choreographed and performed in a number of music videos for Independent Australian Artists and been named as a Dancer to Watch in the 2011, 2012, and 2013 Dance Australia Critics Choice survey. Frankie was the recipient of an Ian Potter Cultural Trust Grant in 2015 and spent 12 months participating in workshops, teaching, creating and performing work in Germany, France and the UK, and assisting in facilitating cross-disciplinary residency program conVERGE at Ponderosa in Germany. 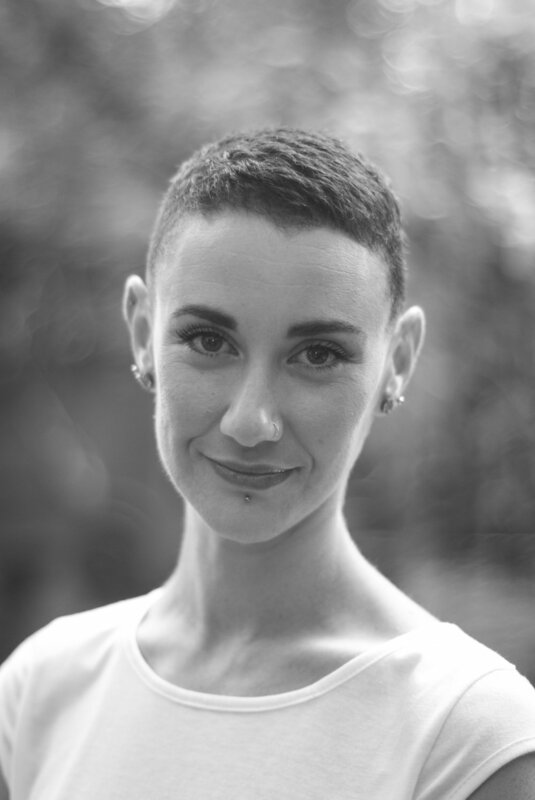 As an Independent dance maker Frankie has choreographed and performed in projects funded by The Australia Council for the Arts, Arts Victoria, Arts NT, The City of Melbourne, The City of Port Phillip, the Besen Family Foundation and Regional Arts Australia. She has a large involvement in teaching and dance development throughout Victoria and the NT, most notably founding the Alice Can Dance performance education program in Alice Springs. In 2016 Frankie worked with Opera Australia in Melbourne as the assistant choreographer to Kate Champion and dance captain for the remount of The Ring Cycle (Dec 2016), and most recently debuted her newest full-length work The Perception Experiment in Alice Springs, alongside long time collaborator Madeleine Krenek. Frankie is the Chair of the Board for Watch This Space ARI and is part of the 2017 Australia Council Future Leaders program. Frankie believes fiercely in dance and all art as a vehicle for social and political commentary and change, as well as a platform for celebrating and empowering all people. Madeleine is originally from Aotearoa and is a 2009 VCA alumna who has worked in Australia with companies Chunky Move, Lucy Guerin Inc. with Kyle Kremeskothen, Not Yet It’s Difficult – David Pledger, Opera Australia with Neil Armfield and Kate Champion, One Step At A Time Like This with Stephanie Lake, ROGUE Dance Collective and Supple Fox. She has also worked for independent Australian based choreographers Jo Lloyd, Russell Dumas, Carlee Mellow, Shelley Lasica, Sara Black, Rebecca Jensen, Frankie Snowdon and Rain Francis. Internationally Madeleine has worked for Chicago based company Lucky Plush Productions under the direction of Julia Rhoads, Canadian choreographer Michael Monataro (Cirque du Soleil, Topological Media Lab), and New Zealand choreographers Julia Harvie, Julia McKerrow, Fleur de Thier and Megan Platt. She was nominated for a Greenroom Award for her work in the ensemble of Jo Lloyd’s Future Perfect, she has been named Dancer to Watch in Dance Australia’s Critics Survey 2013 and has received an Ian Potter Cultural Trust Grant. Madeleine’s choreographic credits include full length works ‘The Perception Experiment’ presented by Araluen Arts Centre alongside Frankie Snowdon, ‘The Lost Dance Project’, ‘Family’, ‘Something Blew’ and ‘Alice Can Dance’ 2012-2017 with 2NDTOE, and ‘About Being One’ presented by The Body Festival (NZ). Madeleine has also received an extensive choreographic commission through Movement Art Practice in New Zealand and many smaller commissions to create works in Australia, New Zealand and the USA. Madeleine maintains a rigorous teaching practice and has taught dance and improvisation at many tertiary training institutions in Melbourne, in regional and remote communities in East Arnhem Land, and most notably is a founding and current member of the Alice Can Dance initiative, a dance education and development program which expands throughout Alice Springs and surrounding communities. She has also guest tutored for overseas institutions including The University of Chicago, Visceral Dance Center (Chicago) and Movement Art Practice in New Zealand. She has also travelled extensively overseas throughout Europe, the UK, North America and New Zealand to develop her professional practice through creative developments, choreographic residencies, workshop and classes. A single grain of salt sits atop a dormant mass. A tentative shuffle begins a migration, gravity-beckoned and persistent. Micro-movements and moments occur over expanses of time, interrupted and intersected by bodies. The trickle becomes a torrent, becomes a cloud, becomes a pattern; capturing breath and heartbeat before sweeping away. In their first work made in Central Australia, Choreographers Frankie Snowdon and Madeleine Krenek invite you to explore time and space through an offering of live dance performance, sound and sculptural installation. Through provocative sensorial immersion, The Perception Experiments strives to examine our experience of the physical world, blur its edges and offer an alternative view of how we might navigate through it. This work is now tour ready, for a full length video, technical specifications and costing, please contact us. This project was proudly supported by The Australia Council for the Arts, The Regional Arts Fund and The Northern Territory Government through Arts NT, as well as partnering organisations Araluen Arts Centre, Watch This Space and Red Hot Arts. First developed in 2012 by Maddy, Frankie and long time collaborator Adam Wheeler, Alice Can Dance is a large scale dance education program delivered across all public schools in Alice Springs and wider Central Australia. The program runs over a 7 week period, engaging with over 250 young people to co create a large scale contemporary dance and film work, performed at Araluen Arts Centre. This program the only one's of it's kind currently existing in Australia and is proudly supported by the Northern Territory Government through the Department of Education.